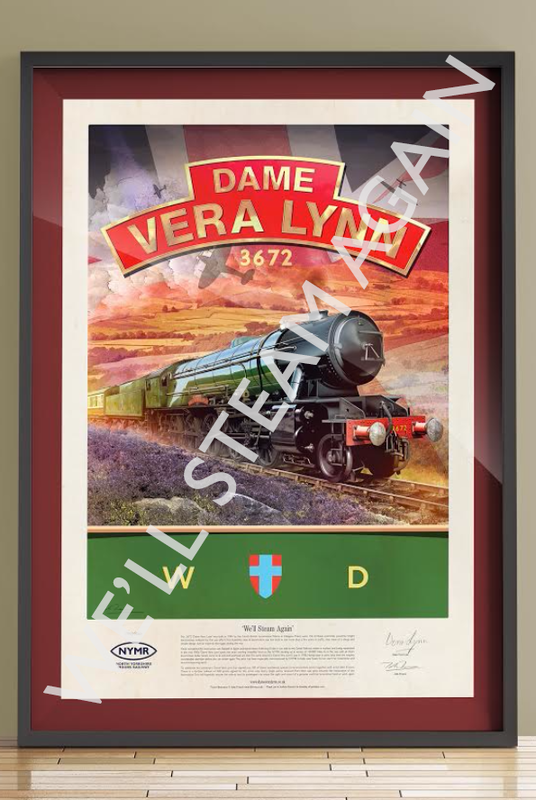 Alongside the We’ll Steam Again appeal, artist John Francis has created a commemorative print which captures our Dame Vera Lynn perfectly. 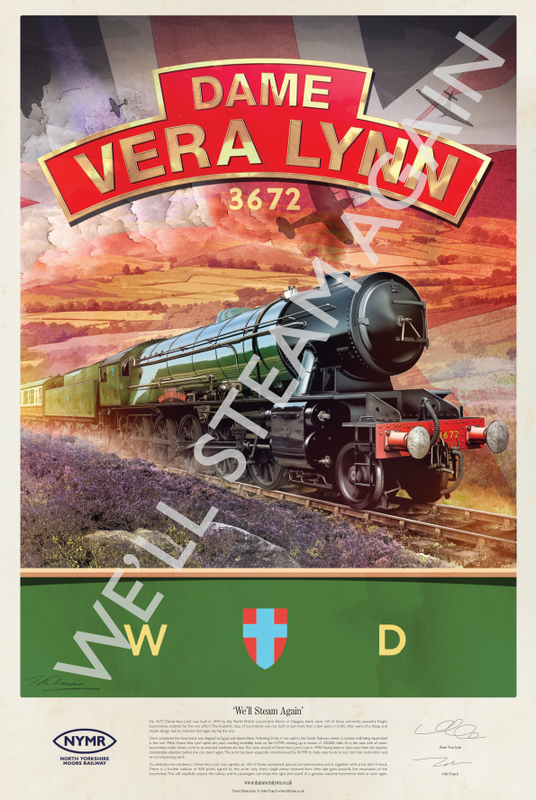 This print has been especially commissioned by NYMR to help raise funds to kick start her restoration and re-commissioning work. To celebrate her centenary Dame Vera Lynn has signed just 100 of these numbered, special commemorative prints together with artist John Francis. The prints, unframed, cost £100 each (plus £5 postage and packing). Every single penny received from their sale goes towards the restoration of the locomotive. This will hopefully ensure the railway and its passengers can enjoy the sight and sound of a genuine wartime locomotive hard at work again. For all other enquiries and to send us an email to order please Click here to email us.